Menchie's Frozen Yogurt started mixing when he was only a baby. It quickly became his passion and led him to do what he loves and love what he does: making mixes of yogurt and toppings with his sweet friends. 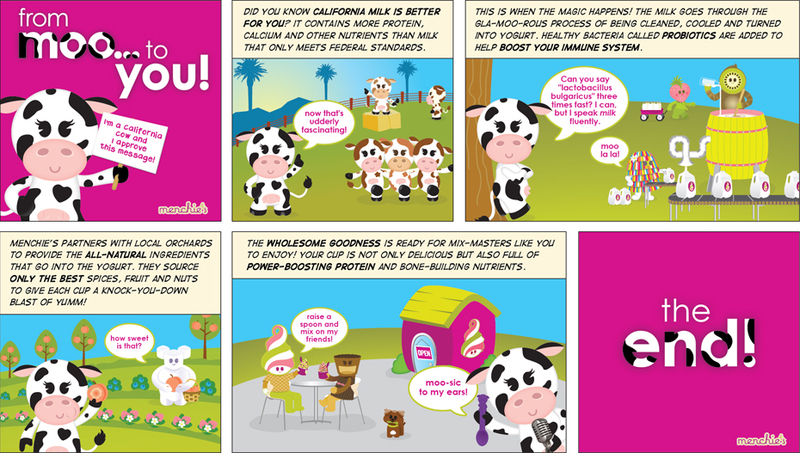 NEW FLAVOR ALERT! Try our new refreshing Orange Pineapple Sorbet!!! 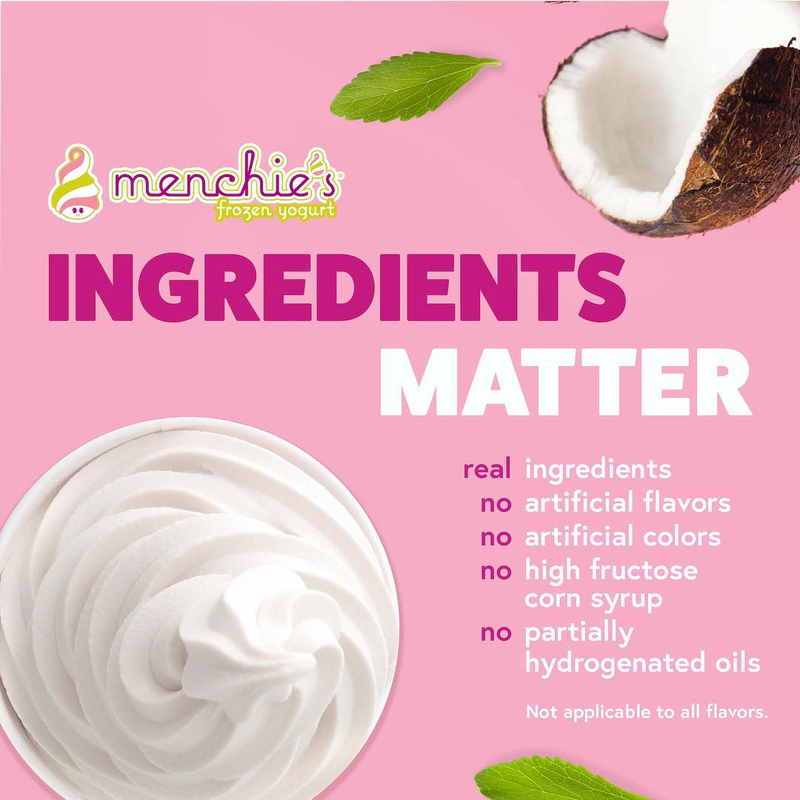 At Menchies Frozen Yogurt Ingredients Matter!